Congratulations to our new members for Spring 2019! We are happy to welcome Lisa Brooks and Samuel Niblett and look forward to a great semester of singing! 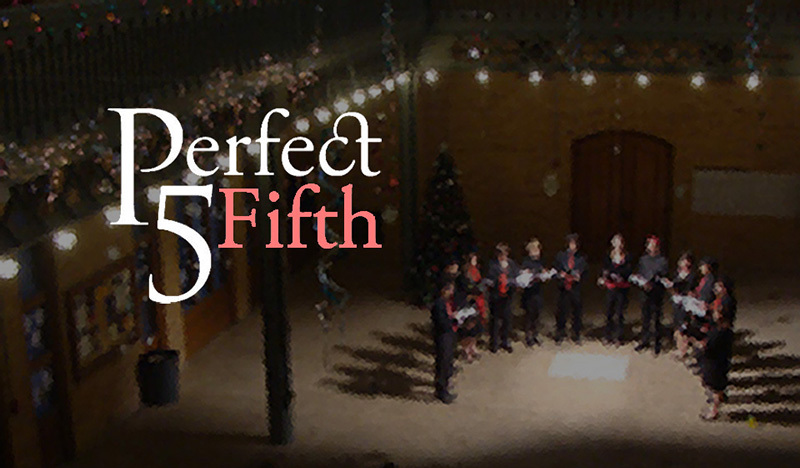 Come join Perfect Fifth for a musical evening of contrasts. In time for the holidays, we present four Noël motets by Poulenc, as well as older renditions by Sweelinck and Tomás Luis de Victoria. On the other hand, we commemorate the centenary of the Armistice of Compiègne with excerpts of a Serbian Orthodox Requiem by Stevan Hristić. Also included in the programme are Palestrina, Josquin des Prez, and three of the great Vienna motets by Bruckner. 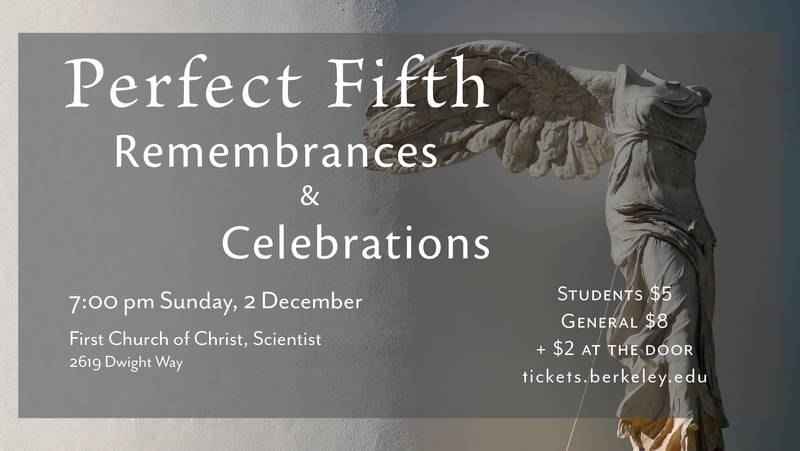 We look forward to seeing you at First Church of Christ Scientist on Sunday, Dec. 2 at 7pm! STUDENTS: $5 | GENERAL: $8 | +$2 at the door Tickets can also be purchased online.